Spooky was one of our family pets when I was young, and he was very fun to take photos of. He was one of the floppiest and most easy-going cats I've ever met, so we could put him pretty much however we wanted to get a picture. Mandy was our older cat, and she's the only family pet who was "mine" (I picked her when she was just a kitten). Unfortunately, she never really liked me, partly because she never really liked anyone, and she especially hated Spooky. 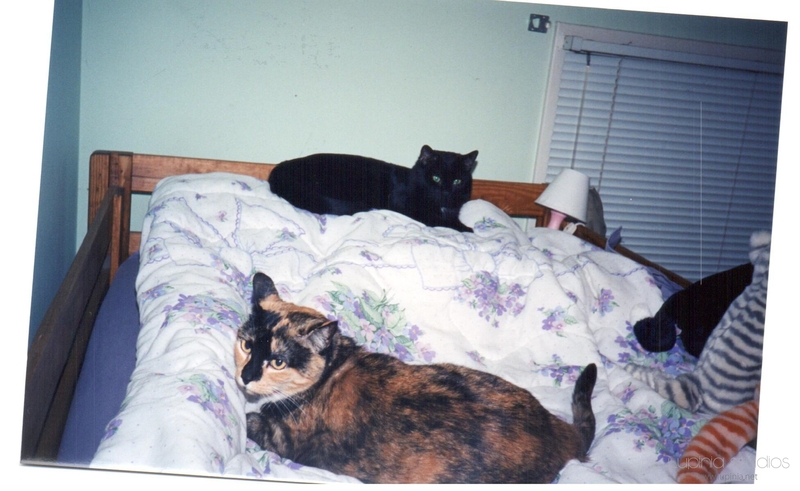 In fact, Mandy was the reason we had to send Spooky to live with my dad. So, this photo is rather unique, because it captures one of the only times that both cats were together in the same place, and not fighting.